"Engage, equip, and empower men to act and think like Jesus Christ"
You are invited to participate in our second annual Heart Havens/VA Conference UMM Golf Tournament. This tournament is being sponsored by the Virginia Conference United Methodist Men and will support the ministries of Heart Havens, Inc. 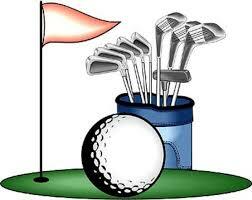 The tourney begins with a shotgun start at 10:00 AM on Friday, September 27, 2019, at Honey Bee Golf Course. All women and men players are welcome to come and enjoy an afternoon of great golf, fun, & fellowship! Cost is $60 per individual or $200 per team. Heart Havens empowers adults with a developmental disability to live full and vibrant lives with as much independence as possible. This non-profit ministry began in 1996 as an outreach of the Virginia Conference United Methodist Church’s Commission on Disabilities and has strong ties to the United Methodist Men. You can register below or by contacting Steve Schaefer, (757) 285-8047. Lets take faith and fellowship out into the community! 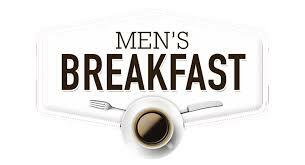 St. Andrews men meet every Tuesday morning at The Village Inn on Independence Blvd. in Virginia Beach to share our faith and fellowship with the community of men outside the church. We eat, have conversations, and pray before going to work. It’s a great way to start your day! All men are welcome to share in the laughter, good conversation, and prayer. We invite you and your neighbors to join us at 6:00 am every Tuesday. Come alone or with friends and be a part of sharing the word in the community. Advocate Needed - click for info!